﻿ Even if you’re not a fan of Black Veil Brides, they’re at least easy to ignore, particularly nowadays. They’re no longer the buzz band poised to take My Chemical Romance’s mantle as the next world-conquering rock band, and though there’s some definite star power amongst their ranks, especially with frontman Andy Biersack, the music itself has never been able to live up to all the fanfare it’s been given. Sure, Set The World On Fire and Wretched And Divine: The Story Of The Wild Ones were both decent albums, but We Stitch These Wounds had the sort of naivety very much indicative of a debut, and 2014’s self-titled effort was a crucial drop-off in what felt undercooked and unmemorable. It’s easy to see why this was the case though – with constant deluges of hype that remained largely unfulfilled and the pressure to release an album on an almost yearly basis, it’s no secret that burnout can set in fast. With all that in mind, there’s a lot of potential that comes with Vale. With four years having passed since their last album, that’s ample time for the band to regain themselves and maybe pick up some of the more bombastic hard rock and metal flavour that’s been missing from their catalogue for the longest time – after all, with artwork like that, who’d expect anything different? Except they don’t, as Vale bares no significant change or evolution whatsoever, keeping to the polished, marketable halfway house of diluted glam-metal and modern pop-rock that’ll ensure that opinions on either side will not be swayed a single inch. And while making an album purely for existing fans is fine overall, it feels as though Black Veil Brides are so highly insulated by that echo chamber that they’ve refused to address the myriad legitimate criticisms of their past releases, and thus Vale is perhaps their safest, most toothless album to date. But still, where Vale shines the most is in its fundamentals, as once again, Black Veil Brides demonstrate their knowledge of how to craft arena-sized hard rock songs with ease. They’ve got a knack for choruses that can scrape the rafters of even the biggest venues, and even though he doesn’t have a lot of range beyond his gruff, throaty sneer, Biersack is an immediately identifiable and charismatic personality behind the microphone. But the ace in the hole is Jake Pitts’ lead guitar work, dishing out the flashy, flamboyant solos ripped directly from the Sunset Strip to give The Last One and My Vow some extra muscle, or pull When They Call My Name away from being overly lightweight and schmaltzy. 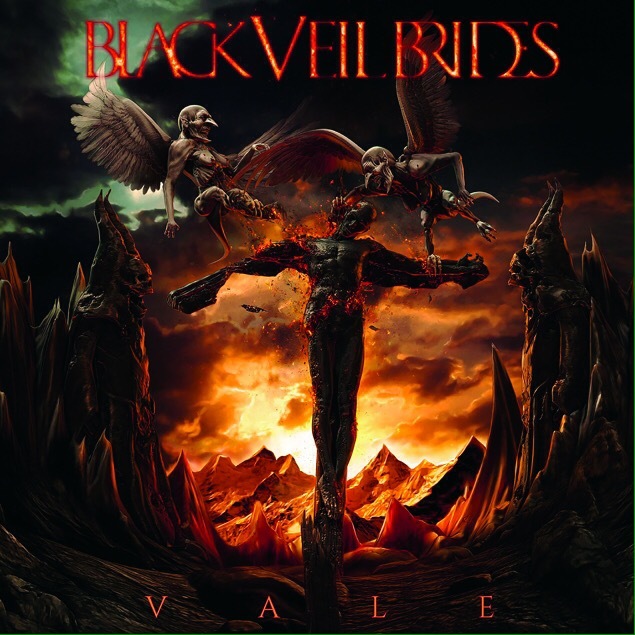 From a surface level, Vale is possibly just as good as whatever Black Veil Brides have offered in the past, aware of its own melodic instincts and how to use them effectively. Then again, that proves to be the damning flaw, particularly when, as a whole, Vale feels built around these fundamentals rather than built on them. There’s no risk or leap of faith that could lead to potentially a more progressive new direction, just rolling with the same ideas for the fifth time and hoping that it’s good enough. Part of this is down to John Feldmann back behind the production desk, who once again brings in copious amounts of production sheen and millennial whoops to cram in whenever possible, but mostly it’s the fault of the band themselves who, to put it bluntly, are running out of ideas at this point. As much as they try to feign ambition whenever possible with the synths and strings to give an extra sense of stately drama and scale, often it boils down to songs that end up as big but profoundly empty or uninspired. Dead Man Walking (Overture II) has no business being eight-and-a-half minutes long, particularly when the final minute-and-a-half is just an orchestral rearrangement of When They Call My Name, a song that’s pulled from yet again on Ballad Of The Lonely Hearts with a chorus melody that sounds virtually identical to its. This isn’t an excessively long album – twelve songs at forty-seven minutes – but there’s so much that feels interchangeable and unnecessary, to the point where this could be literally any of Black Veil Brides’ albums. Factor in lyrics that, once again, deal with rising up against some anonymous oppressor and leading the outcasts into the light, and it becomes clear that no progression has been made here. If anything, Vale shows how Black Veil Brides are becoming one of the most one-dimensional acts mainstream rock has to offer, not even drawing from the same pool of influence as much as totally rehashing their past works for the fifth time with constantly diminishing results. That’s not to say Vale is awful though – again, in terms of forging hooks and melodies, Black Veil Brides are still getting mileage out of their very defined formula – but it is a tiresome listen from a band who are far past their prime both in terms of talent and exposure, and now feels as though they’re trying to scramble something together just to say that it’s out there. When Biersack released his Andy Black solo project a couple of years back, there was actually intrigue and tightness to that darker electro-pop; with this, it couldn’t be more of the opposite. ‘Vale’ by Black Veil Brides is out now on Republic Records / Lava Records.